Jennings McDonald & Co Pty Ltd first opened it’s doors for trading in November 1956. Jennings McDonald & Co Pty Ltd first opened its doors for trading in November 1956. The Jennings McDonald product range has evolved during 51 years of operation but the company has always maintained a range of products which have been compatible with local industry and agriculture. The company has always endeavoured to remain abreast of the latest innovations in plastic and rubber hose, hose fittings, plastic and sheet rubber. In 2013 Jennings Mcdonald was acquired by UES International, an Australian family owned company established in 1904, and a leading global designer, manufacturer and supplier of Seating, Industrial, Marine and Transportation Hardware. 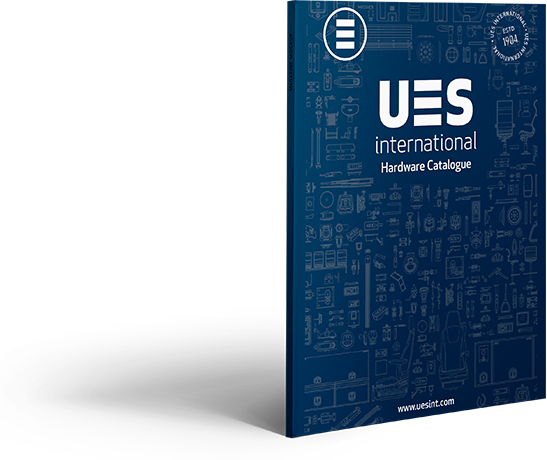 UES International have been delivering business solutions to its clients for over a century. When business commenced television had commenced transmission although certainly not in Nowra, and the country was agog with excitement at the prospect of the Melbourne Olympics. In Nowra, Wests picture theatre was at the corner of Junction St and Berry St, opposite the old Post Office.There was no sign of the TAFE College, now the Nowra Art Gallery. Blacksmith Frank Rouen still operated from Berry St and the now Spotlight. store was then operating as Woodhills. The first Council Chambers, now the Shoalhaven Medical Imaging, had not been built (it was constructed in 1964) and the Prince of Wales, now Best and Less and Nowra Hotels (Commonwealth Bank site) held sway at the corners of Junction and Kinghorne St.
Jennings McDonald initially traded as Shoalhaven Tyre and Rubber Distributors and for the first eighteen years of it’s operation were heavily involved in the sale of tyres. The two partners were Fred Jennings and Allan McDonald. Allan McDonald retired in 1982, Fred Jennings still retained his involvement in the business and maintained his role as Managing Director until his death on Thursday the 18th of June 1998 at the age of 81. The business retains it’s family involvement with son Paul Jennings joining the company in 1974 and Fred’s second son Greg in 1982. In 1974 the company ceased selling tyres and at the same time reverted back to company name Jennings McDonald. Sheet rubber, hose, vee belts, agricultural pipe foam and footwear are just part of the Jennings McDonald range. The product range has evolved during 51 years of operation but the company has always maintained a range of products which have been compatible with local industry and agriculture. The company has always endeavoured to remain abreast of the latest innovations in plastic and rubber hose, hose fittings, plastic and sheet rubber. Jennings McDonald has, over the years continued to stock a large range of safety and non-safety footwear, wet weather clothing and in 1977 added Yakka Work clothing to the range.